The Lady Vols make just about one of the longest road trips you can make this weekend, heading to California to face the University of San Diego in two matches in successive days. Tennessee and San Diego are meeting for the first time. The Lady Vols are 3-1 vs West Coast Conference teams since 2001. The team is heading to California for the first time since 2006. Their last match in the state was a 3-1 loss to USC. However, in the rally-scoring era UT is 7-2 in matches played in the state. Tennessee will play San Diego in back to back matches. The last time the Lady Vols played a non-conference opponent twice in the same year was 2005, when they lost to Missouri in the first month of the season before defeating them in the NCAA Tournament on their way to the Final Four. The last time the team scheduled a non-conference opponent twice in the same regular season was 1995, when they played both St. Mary’s (CA) and Arizona State in back to back days. Like UT head coach Eve Rackham, San Diego coach Jennifer Petrie is a former North Carolina assistant coach, serving from 1994 to 1997. 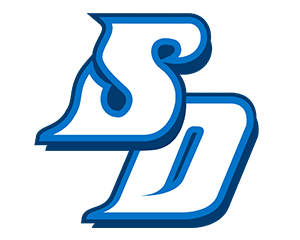 San Diego is 1-3, but Tennessee will be the first unranked team the Toreros have faced this year. They lost to #10 UCLA and #17 Washington twice, and defeated #12 Baylor. After losing to the last five ranked teams they played (all in sweeps), the Lady Vols finally ended that streak earlier this season with a 3-1 win over #22 Michigan State. The last time UT had a two win winning streak against ranked opponents was 2012.